We are an honest and dependable company servicing your area. We arrive in uniform on time to provide great customer service. which has provided us with hundreds of satisfied customers throughout Southern Oklahoma. Our technicians are required to take continuing education classes in the pest control industry making sure we stay updated on the latest chemicals, laws, and regulations. 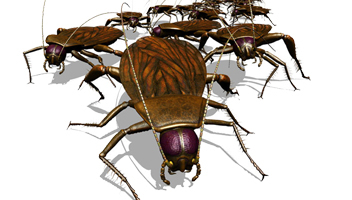 Bed Bug Treatment, Pest Control, Flea & Tick Treatment and many more services to fit your needs. 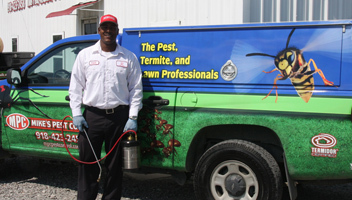 We have a friendly staff of professional licensed technicians that would be happy to assist in providing you with a pest-free environment wherever and whenever problems arise. Does it seem like your weeds regrow as soon as they are pulled out? 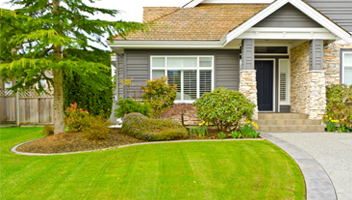 These are indications of a more serious weed control problem that requires the expertise of your lawn maintenance professional. Termites are some the world’s smallest inhabitants, but underestimating their potential to cause serious damage to your property would be very poor judgement.